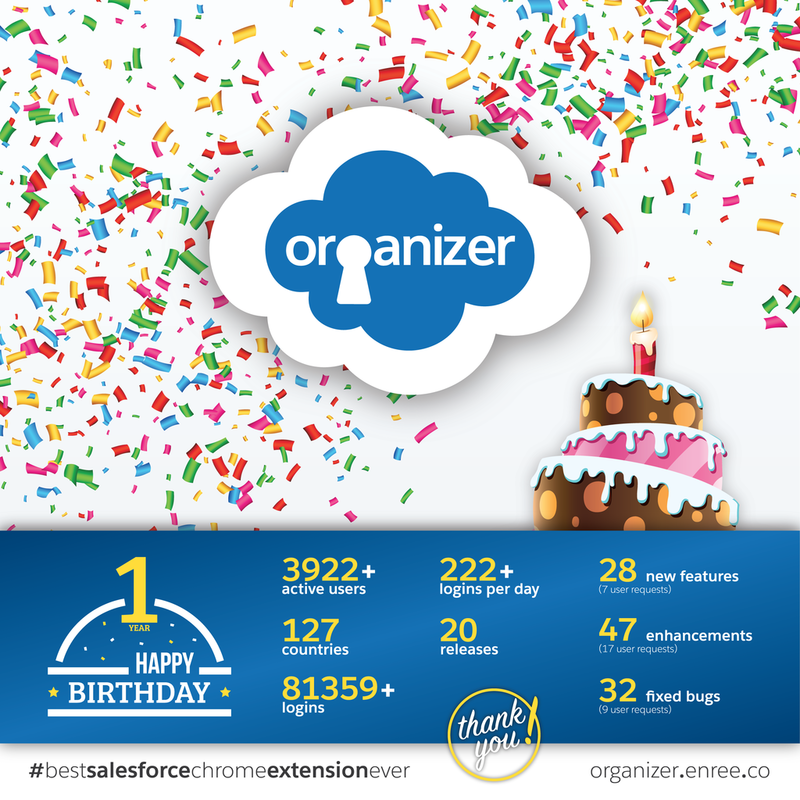 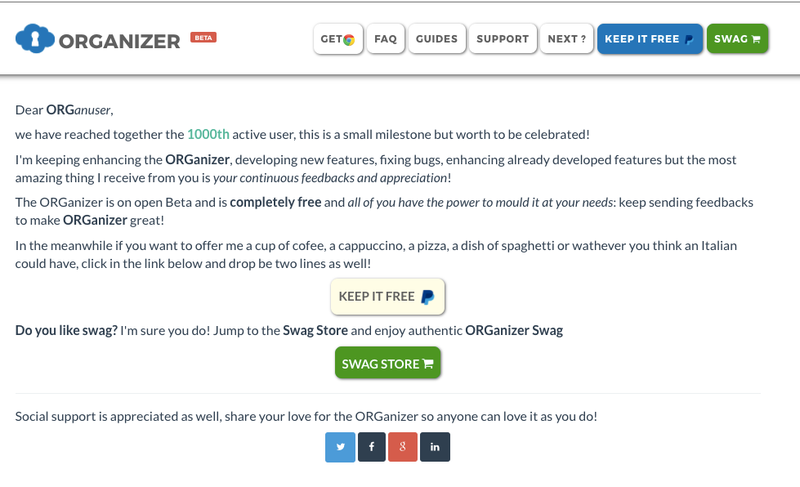 Nerd @ Work: [Salesforce / Chrome Extension] Happy birthday to the ORGanizer: 1 year on the store! Checking my diary agenda I could not believe: ORGanizer's first go live was exactly 365 days ago! 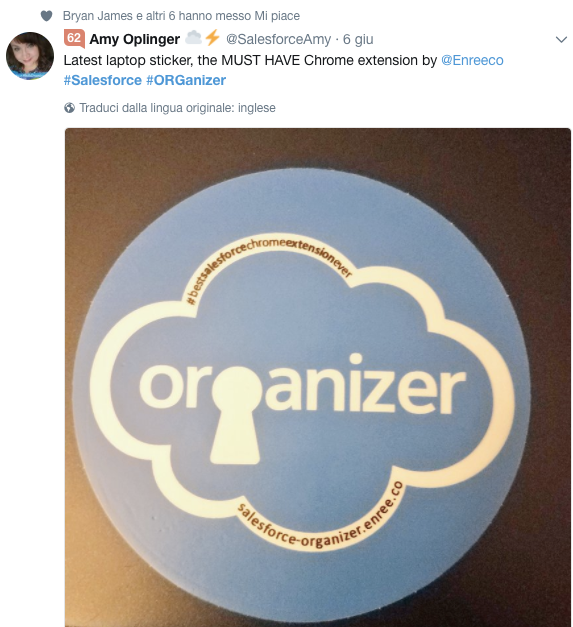 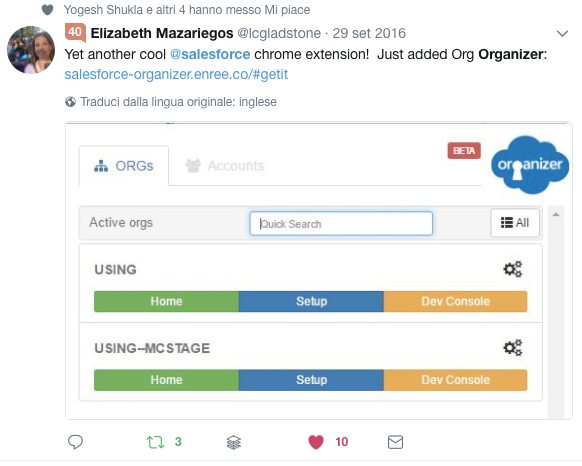 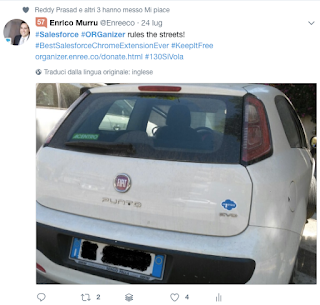 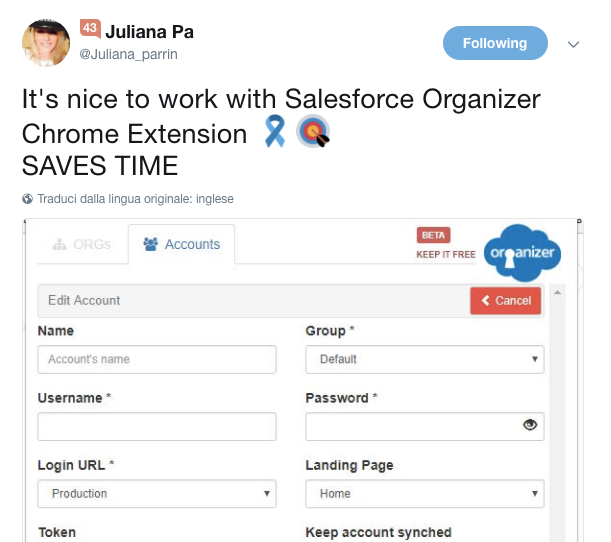 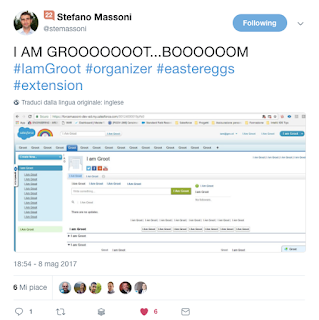 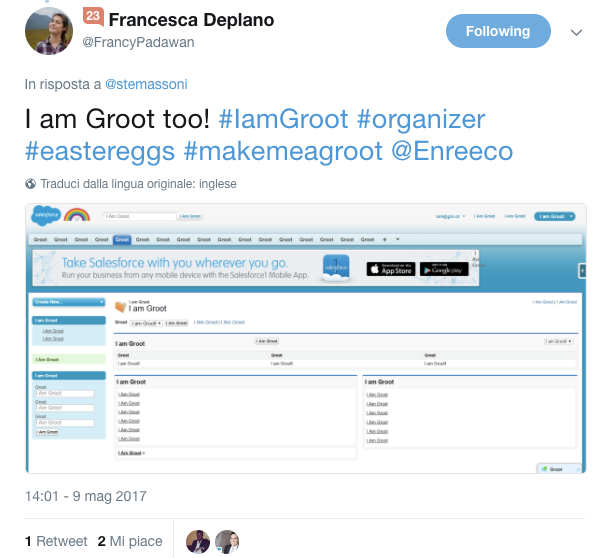 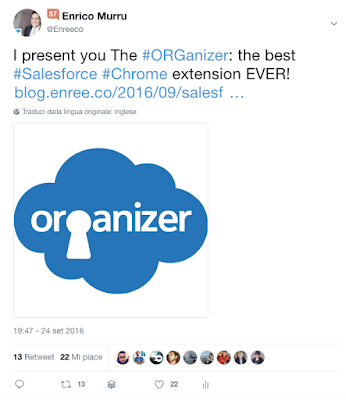 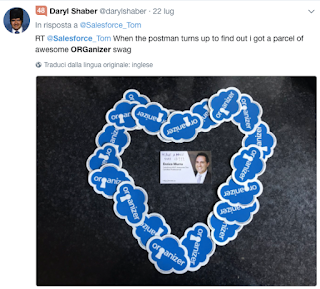 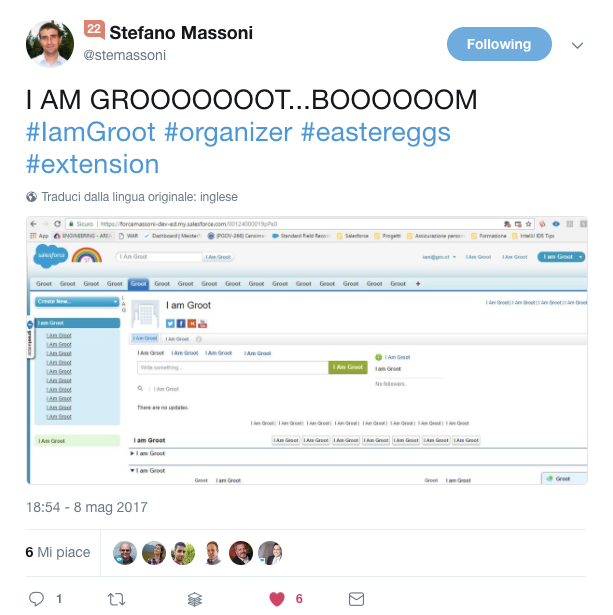 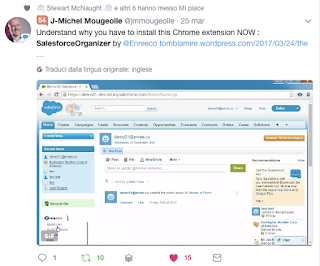 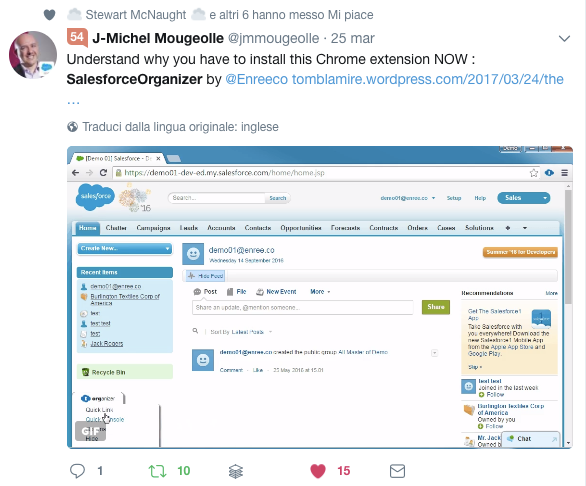 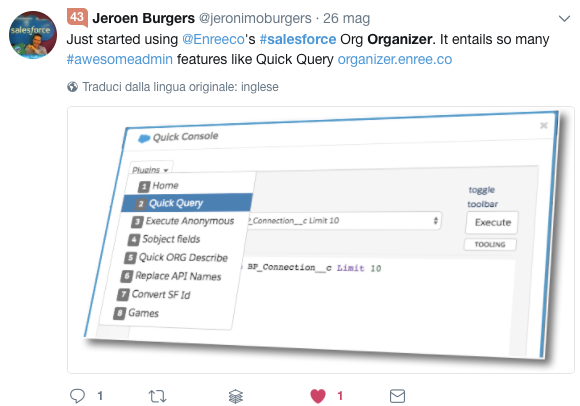 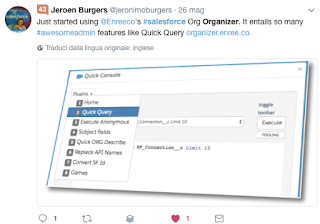 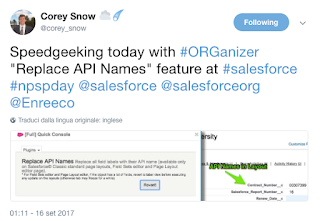 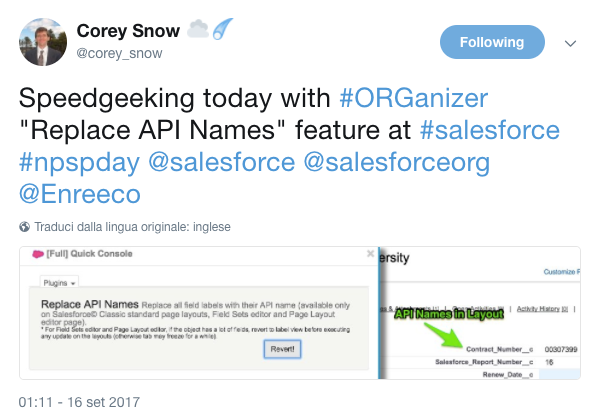 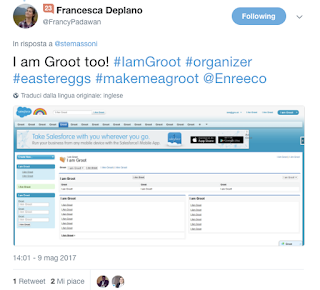 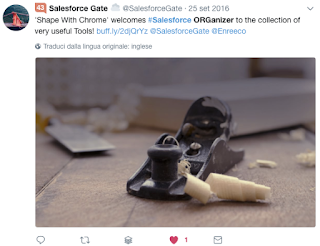 I wanted to share my love and expertise for Salesforce in one single Chrome Extension to be free for all, and after 1 year I receive cheers from my Salesforce pals because ORGanizer helps them successing in their daily tasks! 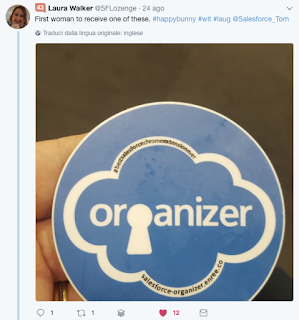 The analytics (recently introduced) say that the numbers are rapidly increasing and the adoption rate is getting higher and higher. 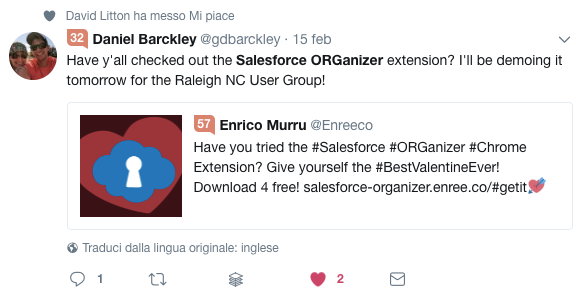 And indicates the number of users that day after day keep getting the ORGanizer on their Google Chrome browsers...and it is incresing day by day, and I cannot be happier! 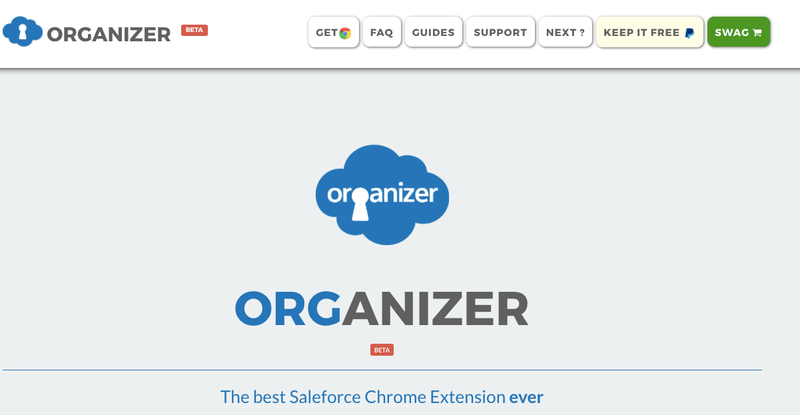 The ORGanizer is more than the extension itself. Trying to make it the most amazing Chrome Extension ever, there an ecosystem of side projects and systems to help me achieving this aim. This is the central information repository for the extension. 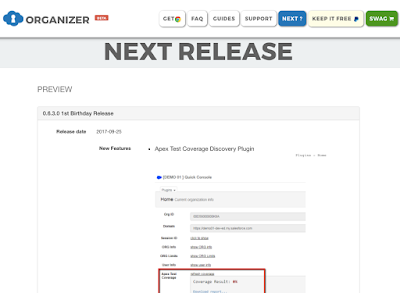 A complete extension guide updated at every release. 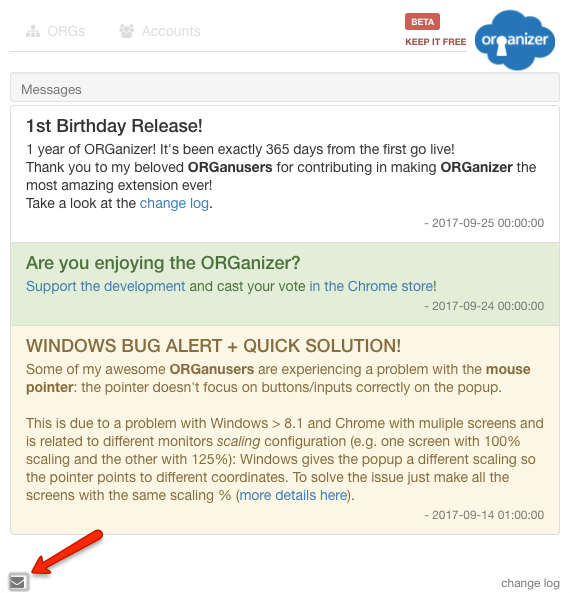 Active support site where you can report a bug or suggest a new feature. This is linked to my Salesforce CRM org where I store all the stuff. 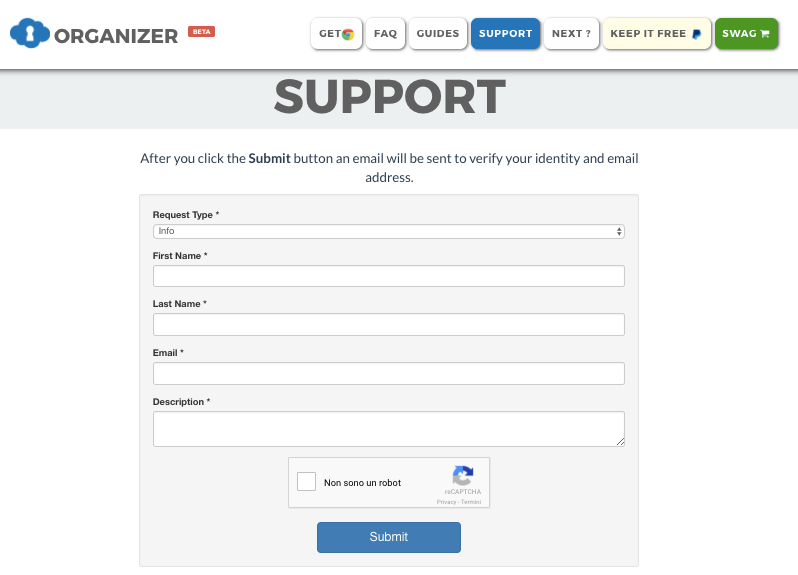 It also uses an Heroku app to send the email used to confirm your identity. 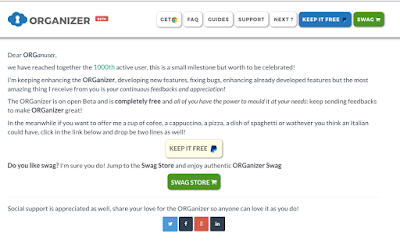 This page contains all features and bugfix in development or developed, that will be release in the next release. 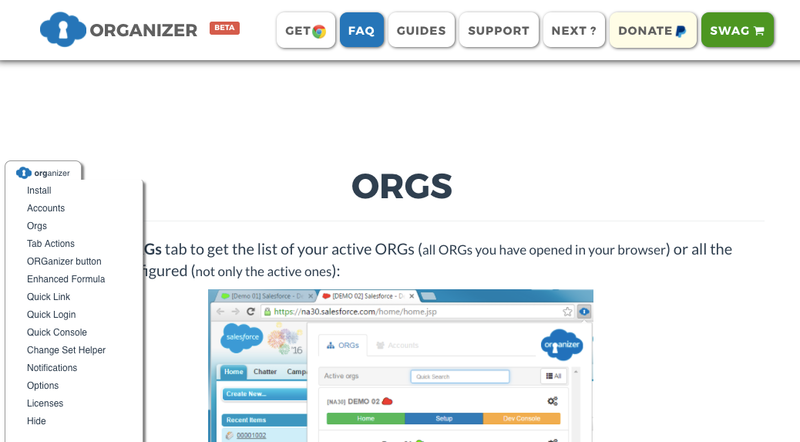 Also this feature is related to my personal ORGanizer CRM org. 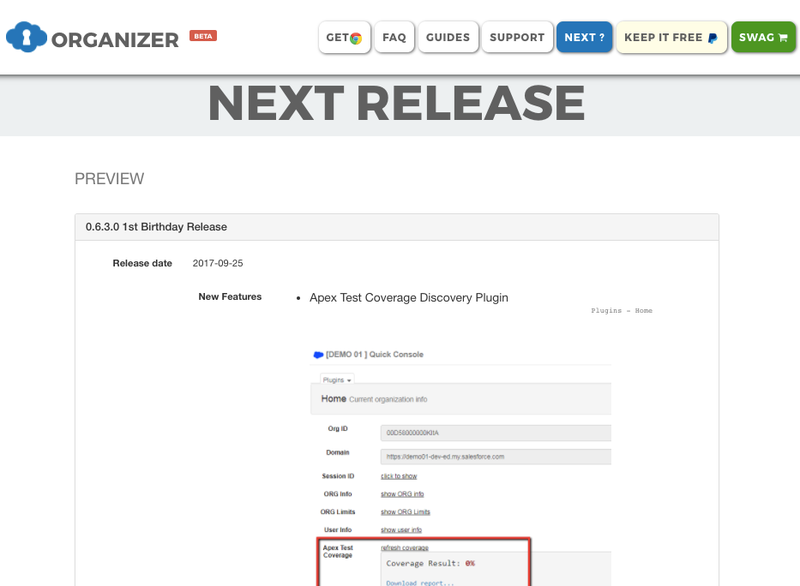 A list of all features delivered in all releases. 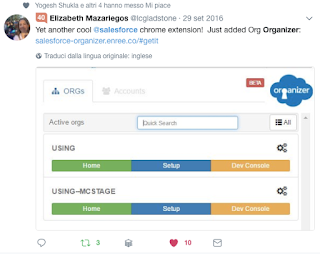 Donations link and a link to the Swag Store to get some cool ORGanizer swag to allow me keeping the extension free for all. 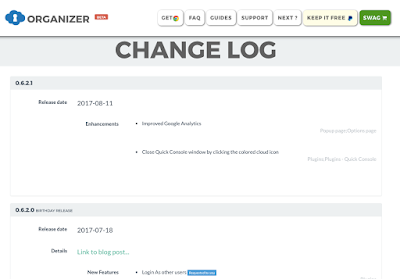 Live messages to get live data to users about the extension, like unexpected bugs or general info. 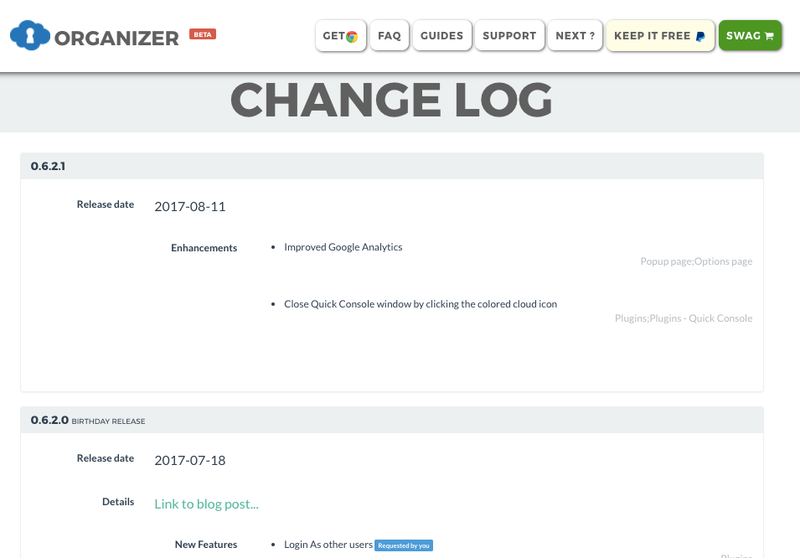 I use ORGanizer like you do, so I wanted to put in place a feature to communicate with my ORGanusers. 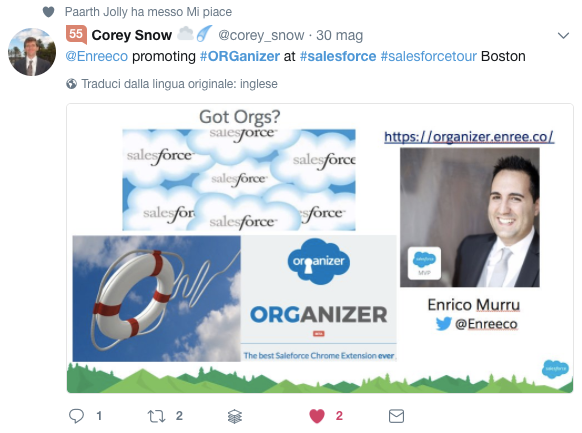 I'm the only person behind the ORGanizer but my dear friend Davide D'Annibale is helping me with all the graphics (I litteraly have not taste in graphics :) ) to get it the most professional appearance it can have! 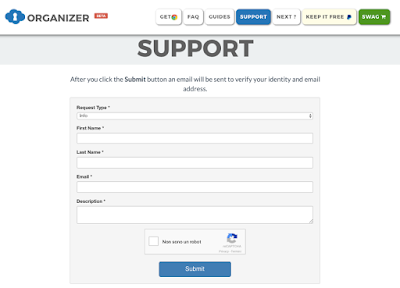 What's the best way to thank all supporters? Let's show some of the best tweets I got from the web!